My main goal was to attain precision and accuracy without compromising design and intent. 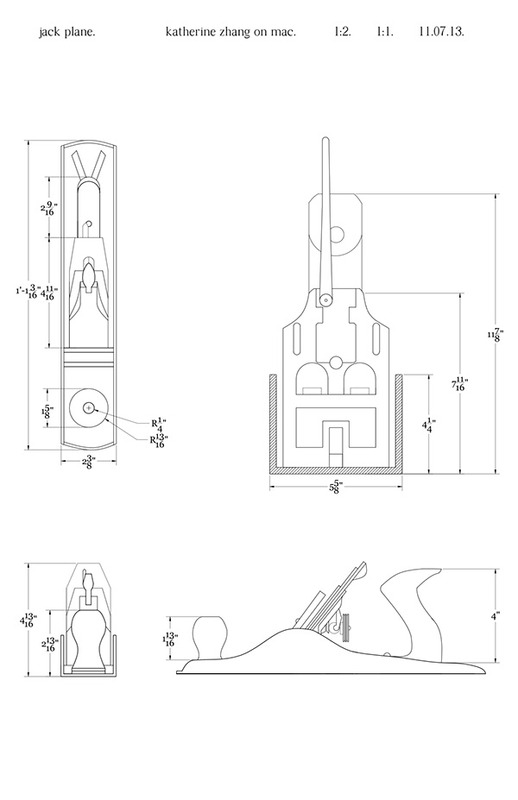 After five weeks of drafting by hand, I completed a presentation drawing of a jack plane for my midterm assignment. This assignment opened possibilities to reimagine traditional hand drafting as I had artistic license to render and compose which I previously did not. For the remainder of the twelve-week semester, I was introduced to AutoCAD, an effective software to further enhance precision an accuracy. 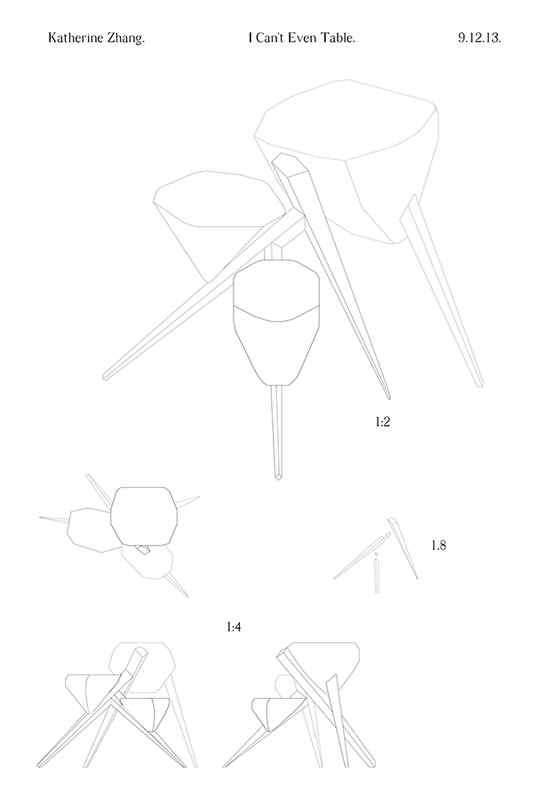 My final assingment was to create drawings of my Sophomore Fall table design I was building in my Sophomore Studio Methods I course.